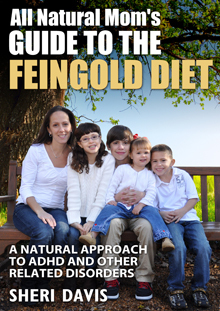 “The Feingold Diet is best known as an ADHD diet. 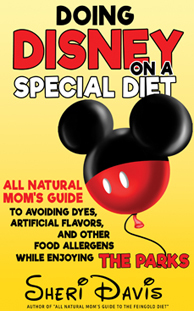 However, it has also been shown to help a variety of other issues as well including autism, learning disabilities, sleep disorders, allergies, asthma, Tourette Syndrome, hives, eczema, bed wetting, and more.1 On this diet, we eliminate all artificial colors (dyes) like red #40, yellow #5, and blue #1 to name a few. With the Feingold Diet, you begin at stage one. 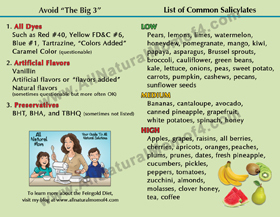 During this time, you will stay away from all high salicylate foods. After seeing at least six to eight weeks of positive results (some members call this reaching “baseline”), you can add in one new stage two food at a time to see if your child reacts (more on this in chapter five). Below is a picture of some stage one fruits (taken from Feingold’s web site). The Feingold Association has compiled an over 400-page food list (specific to several different regions of the country) that details which foods are free of these harmful chemicals. They contact manufacturers to find out exactly what is in the foods that we eat, and also list out which foods are stage one and stage two. They are constantly updating the shopping guide as new foods come on the scene and as food ingredients change. To receive the shopping guide and all the information on how to follow the diet properly, there is a yearly membership fee (currently starting at $69 for the first year – more on this in later chapters). Many Feingold members also choose to eliminate corn syrup, as they have noticed it causes behavioral issues in their kids. Corn syrup is not considered an “unaccepted” ingredient on the Feingold Diet, but the organization does specify which foods in their shopping guide contain corn syrup so it is easy to avoid. They also specify which foods contain MSG, nitrates, and a few other things that some people may react to or choose to avoid for health reasons. The Feingold Diet opened my eyes to the fact that food has a tremendous impact on our behavior and health. Since becoming established on the Feingold Diet, we have done many diets for many reasons: food allergies, autism, seizures, Tourette Syndrome, yeast overgrowth, meltdowns, and digestive problems. Currently, the main diets we follow are Feingold, GFCF, and the low oxalate diet, which is similar to a Feingold stage one diet. Each diet promises to cure you of something or to provide optimum health if you follow it. I have learned that there is no one diet that is the cure for everyone. Each person is different and there may be one diet that works well for one person, and another that works well for another person. This is likely because many of the diets address and fix one main problem. Feingold is best known for addressing the issues of hyperactivity and the inability to concentrate, but it does not address the problem of yeast overgrowth. GFCF is best known as a diet for autism. 3 However, you could be following the GFCF diet correctly and still be eating dyes. I have learned to glean and implement parts of the above diets into our family’s diet, but the one factor that is constant among any diet that is meant to restore health and eliminate unwanted behaviors and symptoms is the avoidance of the harmful additives that are eliminated on the Feingold Diet. Sometimes people ask me which diet they should do for their child, GFCF or Feingold. I believe a diet free of dyes, artificial flavors, and certain preservatives (which is Feingold stage two) should be the foundation of any other diet. If you do not remove these toxins, you are skipping a very important step in the process of healing and health. So, in summary, the Feingold Diet is a diet free of dyes, artificial flavors, and certain preservatives. There are two stages. In stage one, you will also eliminate foods high in salycilates. After reaching baseline, you can test back in those high sal foods to see if your child can handle them or not. Most people end up staying mostly stage one, doing stage two foods in moderation, but everyone is different. Can you do the diet on your own without purchasing a membership? You can but I wouldn’t want to. Feingold takes the guesswork out of it for you and provides you a shopping list with all of the approved foods. They also provide a ton of support via their Members Only Facebook group. For more info on the Feingold Diet or to purchase a membership, go to www.feingold.org. 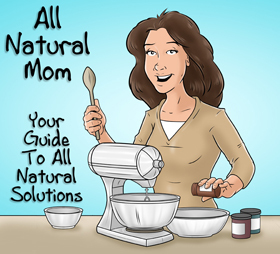 For recipes and tips on how to do the Feingold Diet, follow my All Natural Mom blog, Facebook page, or Pinterest boards. 2. Feingold, Ben. “The Role of Diet in Behaviour.” Ecology of Disease, 1982; 1 (2-3):153-65. Accessed at http://www.feingold.org/bio-medjournals.html.